We first saw Chloé's new 'Tilda' glasses in the label’s Fall '18 campaign video, which was shot in New York with the Manhattan skyline and East River in the background. 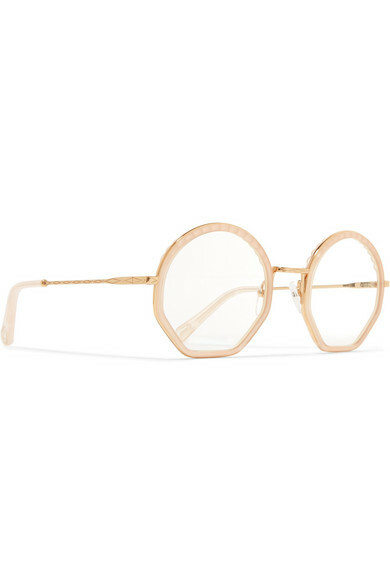 Made in Italy from gold-tone metal and traced with blush acetate, the frames are round at the top and angular at the bottom. Play on the retro vibe and attach an eyewear chain to the ends of the arms, just like they were styled in the film. 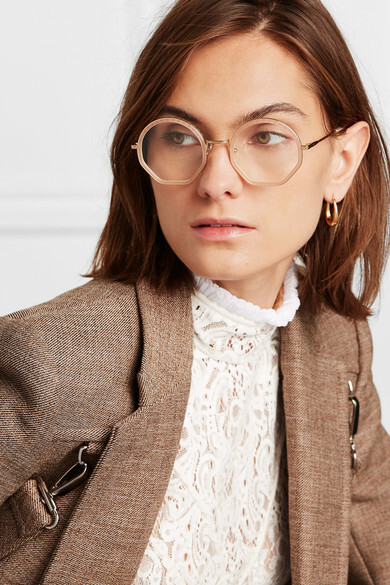 Shown here with: Chloé Top, Chloé Blazer, Sophie Buhai Earrings.